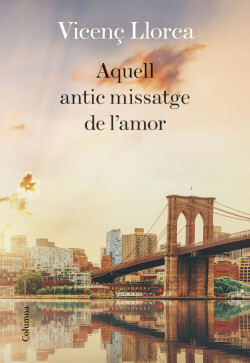 Xavier Rius, an economist in Barcelona educated in New York, has to face the loss of his job during the economic crisis of the second decade of the twenty-first century and the end of his marriage with Patricia. But the sudden appearance of an old classmate, Mary, provokes a hurricane of romantic feelings and puts him back on the hunt for love. At the same time, a strange book that shows up in his family’s library will introduce him to the secrets of Barcelona’s founding and the myths and legends surrounding it. Xavier will live the double challenge of discovering both the meaning of his city’s enigmas and the mysteries of his heart. An impeccably written love story that talks to us about friendship in middle age, love, the failure of marriage, and the need to remake one’s life.